Every flash drive manufacturer's advertising their product with a cheap price tag and e-commerce sites promote them with an additional discount as an offer, which force people to buy even when it's not necessary. Regardless of its speed, brand and reliability, user's rush to buy it just for the capacity of storage that it holds. 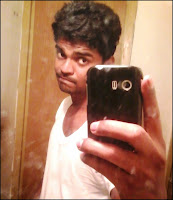 What most of the user's not aware of these devices with a cheap price tag is that its specification (i.e. read & write) capacity, despite the USB flash drives were identical with other USB flash drives of same capacity which are slightly expensive. But they come's with a relatively different speed, which makes them a bit expensive among its rivals with less speed. If you have planned to buy a USB flash drive (or) just bought one already, Besides its storage capacity have you ever checked how fast is your flash drives and how much of data it can transfer at a particular time interval, If not then perform USB drive speed check. To check you flash drive speed follow the described ways below. 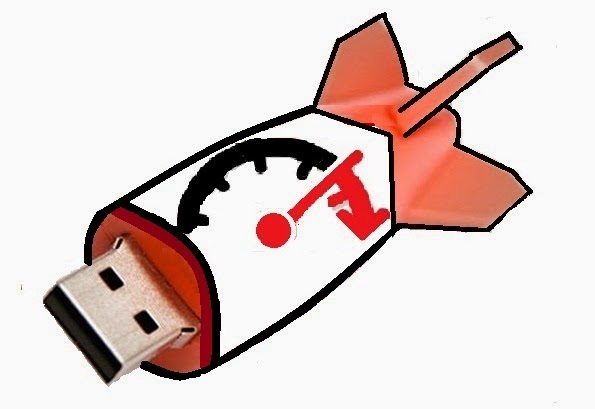 1.USBDeview - Is an small utility program and benchmark tool for USB flash drives to check Read/Write speed sequentially. USBDeview tool run's as an real time interface which does not required to be installed on to the clients computer. List all the devices currently/previously connected to the computer with its extended information's such as device name, description, device type, serial number, the date/time of devise used last. Used to uninstall the previously used USB device installed into your computer, enable/disable/disconnect currently connected USB devices. Can also be used on remote computer when logged in as Admin user. Extract the zip file and right click on the usbdeview.exe file icon and select "Run as administrator"
Select the device to be tested and right click on the device and choose "Speed Test". Press Start Test on the window prompts. Note: Make sure to Run USBDeview utility tool as Administrator to enable/disable/remove the device. 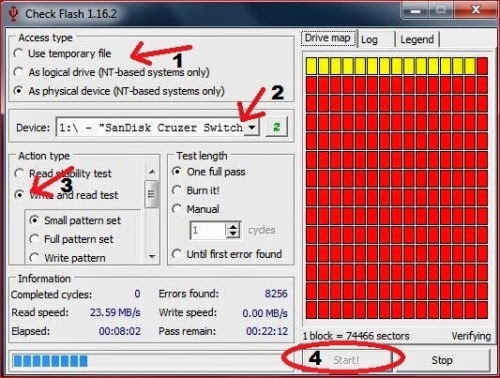 2.CheckFlash - This is also an portable effective utility tool to test read/write speed of the USB flash drive. Unlike USBDeview tool this won't list every device, user is allowed to select the drive from specific category such as logical drive, physical drive and temporary files. Test USB flash drives in blocks each blocks integrated into several sectors. checkflash wizard prompts then select access type. Refresh drop down optin then select preferred device and set Read and write as Action type. Note : It take much time to process than any other tool, because it checks by each sector in depth, and we urge you to empty the disk for complete in depth test on each device sector's. 3.CrystalMark.Info - This utility tool will not only check read and write speed of USB flash drives but also can perform smooth test on logical drives and external drives. Extract the zip file and run the crystal disk mark by clicking the diskmark icon from the extracted file. Use any of the above preferred tool to check performance of your USB flash drives then let us know what impressed you the best and do comment below if any other utility tool you use. Atto Disk Benchmark tool etc.